Cupcake is the mommy of the Old Hollywood litter. 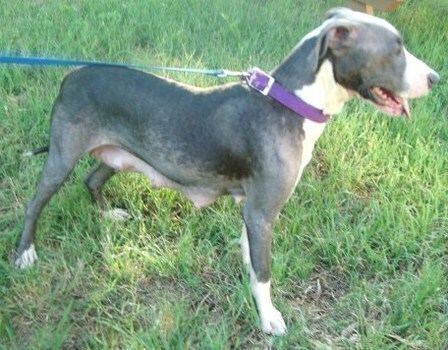 Cupcake is a 1 1/2 year old blue & white pit bull/ whippet mix. 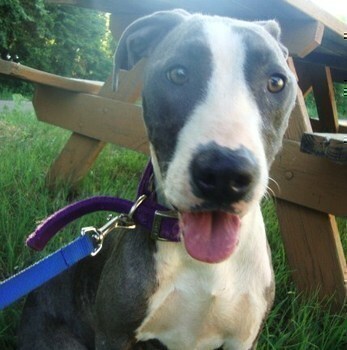 She has a wonderful personality and one can really see the whippet in her more than anything. Cupcake came to us from a shelter with her babies which have turned out to be very cute. Cupcake gets along great with other dogs, and children. She loves attention and can definitely be called a couch potato. Cupcake falls in love with everyone she meets. 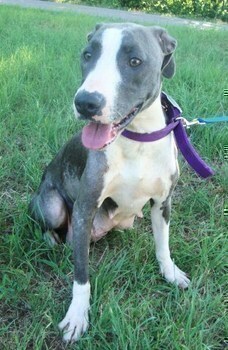 Cupcake comes up to date on shots, spayed, microchipped, and current on heartworm preventative. Cupcake is looking for her forever home and if one is interested in adopting Cupcake please fill out the application above.